HMD Global has started rolling out Android 8.0 Oreo update for its Nokia 8 smartphone. The Android Oreo update will be available as an OTA, however not all Nokia 8 smartphones will get it. “Working together with our fans under our newly setup up Nokia phones beta labs, we’ve created a pure version of this highly anticipated mobile platform, delivering all the exciting new features with none of the unnecessary clutter paired with great performance and even better battery life. Android 8.0 Oreo is packed with new features that make communicating, creating, gaming and exploring even more fun,” HMD Global Chief Product Officer Juho Sarvikas said. Nokia 8, priced at Rs 36,999 is competing with the likes of OnePlus 5, OnePlus 5T and other premium Android smartphones. 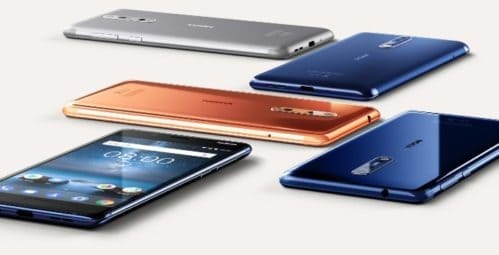 The dual-SIM Nokia 8 sports a 5.3-inch QHD (1440×2560 pixels) IPS display with 2.5D curved Corning Gorilla Glass 5. The smartphone is IP54 rated, which makes it splash proof. It is powered by a Qualcomm Snapdragon 835 SoC coupled with 4GB of LPDDR4X RAM and 64GB of UFS 2.1 storage. In terms of optics, the device features a vertically-aligned dual-camera setup on the back that includes two 13-megapixel sensors – one is an RGB sensor and features optical image stabilization (OIS), while the other is a monochrome sensor. The front camera is a 13MP shooter with f/2.0 aperture and 78.4-degree wide-angle lens. All three cameras come with Carl Zeiss optics.